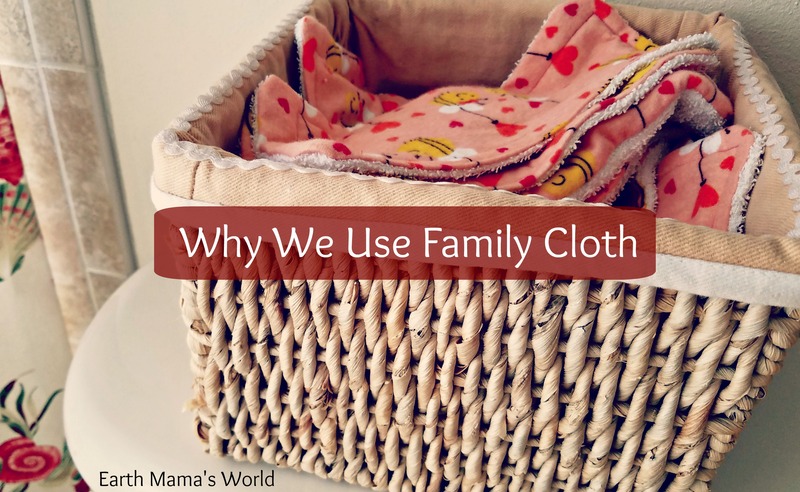 I have been asked so many times why we use family cloth. 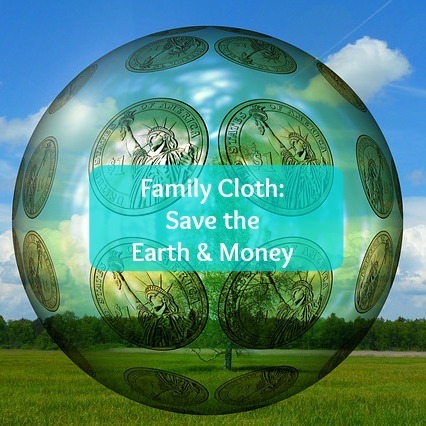 There are many reasons we use family cloth, I typically respond with the top two reasons: it saves the earth and it saves me money. Honestly, how can you go wrong with that?!? If you haven’t heard of family cloth before, don’t worry you aren’t alone. Simply put, family cloth is reusable toilet paper. There are many different options when it comes to family cloth: cloth baby wipes, wash cloths, cloth pads, the options are really endless. There are several options that you can purchase online as well. It isn’t gross at all, it is really pretty simple. We used cloth wipes. I wiped my kids’ bottoms then tossed the wipes into the laundry to be washed and used again. Same thing with family cloth. Wipe, wash, and re-use. Using family cloth is super easy. I have a basket on the back of the toilet that I store the wipes in. I keep a wet bag for the wipes to be placed into after use. I wash the wipes on hot, dry them then put them back in the basket. Super easy. There are so many reasons that we use family cloth. It seems that the transition from toilet paper to family cloth was easy for us since we used cloth diapers and wipes. We know that using family cloth has a positive impact on the earth, our bodies, and our wallet. Using family cloth can have a very positive environmental impact. First, you can save the trees. According to environmental research organization Worldwatch Institute, citing the World Wildlife Foundation, global toilet paper production wipes out about 27,000 trees per day, which comes out to almost 9 million trees per year. Second, save the water and electricity that it takes to produce toilet paper. Making toilet paper uses a bunch of water and electricity. I wash our family cloth with our towels and cloth napkins, honestly family cloth is a minimal addition to the dirty laundry that my family produces so I feel that we are still making a very positive environmental impact by ditching toilet paper. I haven’t done the math but I know that using family cloth saves us money. It is the same concept as cloth diapers over disposable. Cloth napkins over paper towels. This is money in your pocket. Yes, I have to wash the cloth but it is such a tiny addition to our family laundry. Chlorine and bleach are not what I want to use on my loved ones most sensitive parts. I am so much more comfortable with them using organic fabric wipes on their body instead of bleached disposable paper. There are so many positive reasons to use family cloth. It may seem odd at first but it can quickly become a part of your daily routine. Also, if you come to our home and are not comfortable with family cloth..now worries! We have toilet paper too. There are a few family members that often prefer paper and that is totally fine. Every little bit matters. To see more ways that our family is going greener please click here.